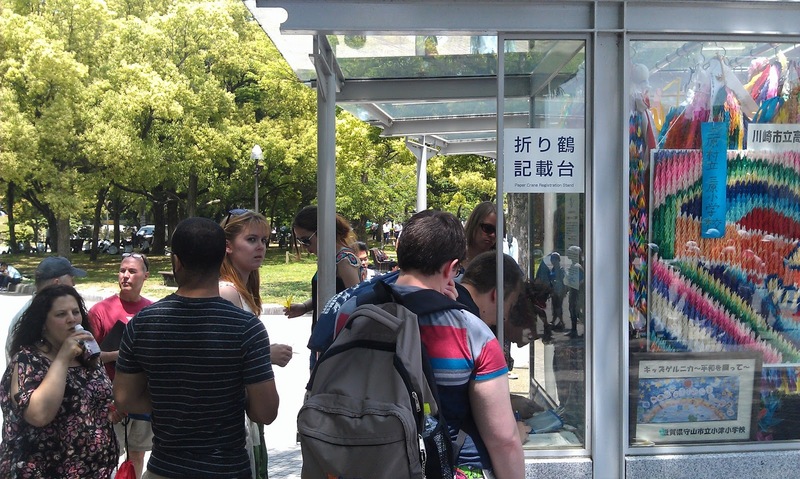 We arrived in Tokushima yesterday after about 3 hours on a train. 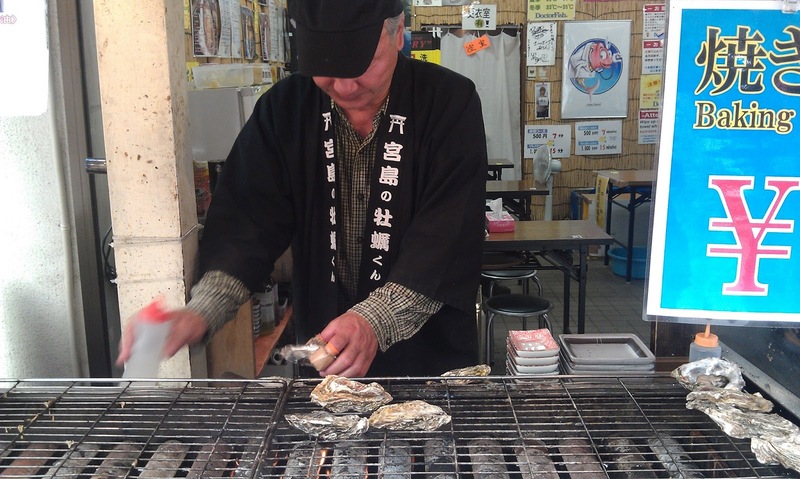 Tokushima is located on Shikoku island. I've been thinking of today as the start of Phase 2 of the our trip to Asia because we shift gears here and will be hosted by three different universities for the rest of our trip. The Roberts Fellows represents a unique opportunity for students, not simply because they travel to Asia, but also because they also have the opportunity to operate as SVSU ambassadors and interact directly with students from both Japan and Taiwan. In essence, they have spent a year in seminars learning leadership skills, meeting with national and community leaders, and implementing their own service-learning projects. We then spent the last 10 days or so challenging students to leave their comfort zones and engage with environments that are, for the most part, very unfamiliar to them. Now it is time for them to step deeper into understanding and interacting with Japanese and Taiwanese cultures and, truly, represent the entire SVSU student body as they meet with students, faculty, and staff from Shikoku University, Ming Chuan University, and Hsih Hsin University. Honestly, it is a great honor and I am grateful to have the opportunity to travel with them. On a practical side note, it also means that our daily agendas from here on out are going to be pretty full. At times, such as tonight, the students are going to be away from the faculty and with Shikoku students so I won't be able to capture any Touts or photos. I'll do my best to keep you all updated and post what videos and photos that I am able to get. As for now, here are some photos from yesterday's visit to the Hiroshima Peace Memorial Museum and Miyajima Island. 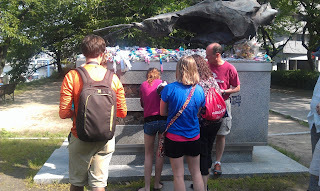 One of the memorials by the Peace Park. 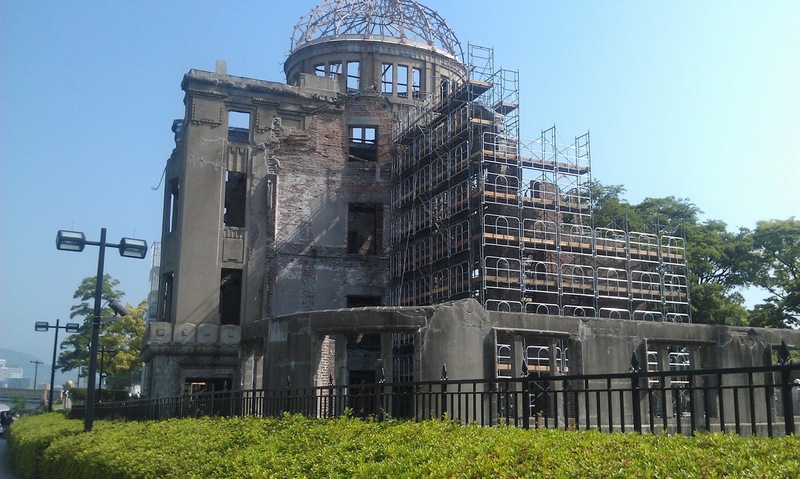 It has roof tiles that bubbled due to the heat of the blast. The A-Bomb Dome is a landmark because it was one of the few buildings that was not destroyed in the blast. 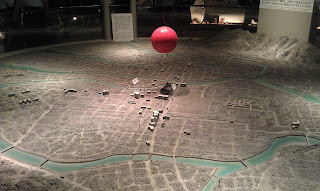 In this model the A-Bomb Dome is almost directly underneath where the bomb exploded. Nearly everything else was destroyed more or less instantly. Roberts Fellows brought paper cranes to the Children's Memorial. Why? Read this. You can also send paper cranes. 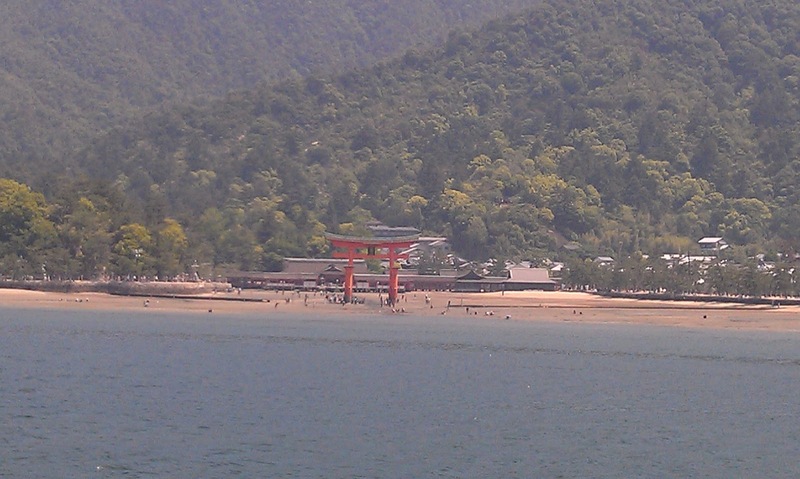 After the Peace Museum we enjoyed a relaxing and reflective afternoon at Miyajima Island. 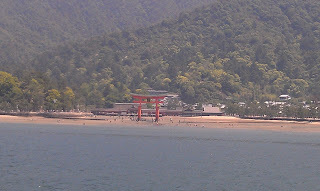 More than one RF commented that it was a bit like a Japanese Macinac Island. This is for you, Mom. 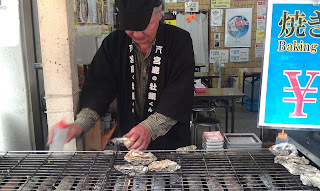 One of their specialties is large, fresh oysters. 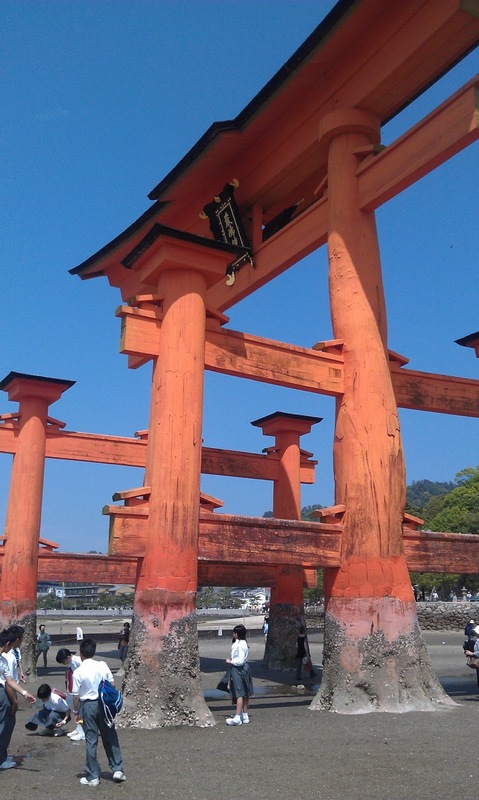 This torii gate is iconic of Shintoism. Next year I want to run or hike to the top of the mountain in the middle of the island.